We’d like to congratulate our February 2018 gift certificate winner: Steve G! Steve sent us a picture of his Amish Originals entertainment console. 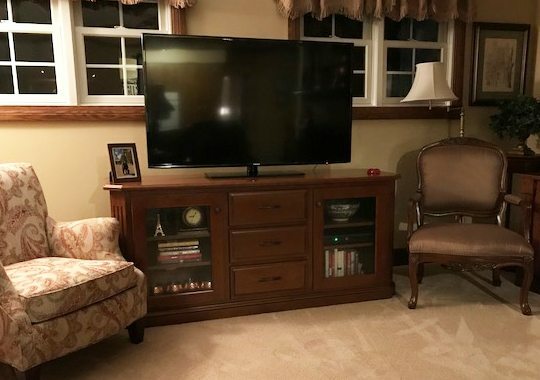 He says, “We purchased our entertainment console in March 2015. We always receive compliments on it’s beauty and craftsmanship.” We’re happy you’re happy, Steve. We can’t wait to see you in the store when you come to redeem your gift certificate. Do you have a piece of Amish Originals Furniture in your home that you love? Snap a picture of it and send it to us via Facebook, Pinterest, Instagram or email us at info@amishoriginals.com. Maybe you’ll be the winner for March? !